You can enjoy many opportunities to engage with industry practitioners, such as hands-on session about targeted threats run by David Emm (Senior Regional Researcher with Kaspersky’s Global Research and Analysis Team) and Ram Herkanaidu (Kaspersky Lab’s UK Education Manager), pictured here. A podcast of the presentation part of this session can be found on our iTunes U site. 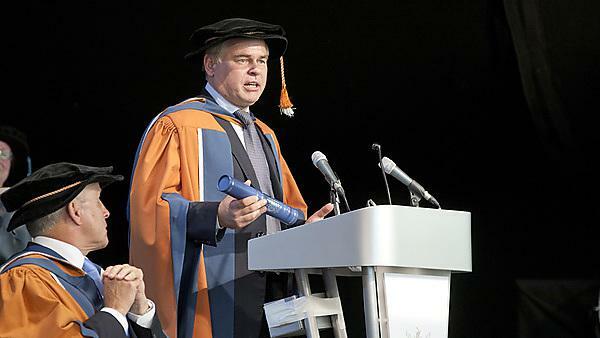 CEO of Kaspersky Lab and holder of an honorary doctorate from University of Plymouth for his global contribution to cyber security.